Ooooh guess what guess what? 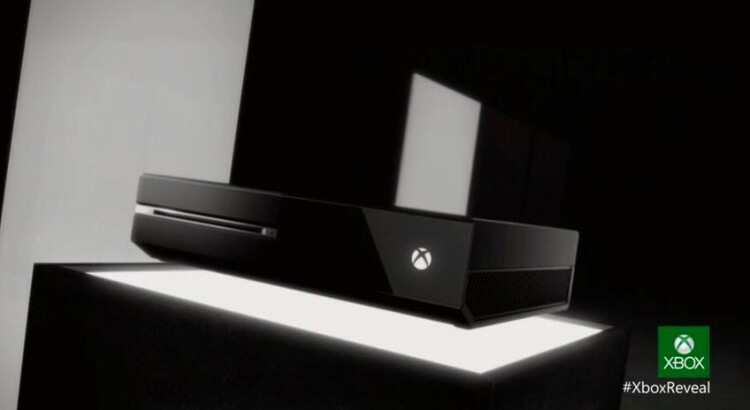 This week Microsoft unveiled the Xbox One, hardware successor to the Xbox 360 game console. It’s been a long seven and a half years since the 360 landed in stores, and it’s probably been the game console that I’ve gotten the most enjoyment out of (my SNES comes in at a close second). Over the summer, the company I work for began offering group health coverage for the first time in 18 months. Unfortunately, it was nowhere near as affordable as the coverage they offered previously, which was based out of Kansas. The new Texas-based coverage was literally three times more expensive, to the point where I couldn’t even afford to insure my family. If there’s one word that I’d pick to describe the mood of the United States citizenry today, it’s “polarized”. Increasingly, it seems like we’re split nearly right down the middle on most of the big issues, with equally loud voices on both sides trying to drown out their opponents. I freely admit to being a huge nostalgia head, which only seems to be getting worse the older I get. (I can only imagine the calibur of “In my day…” curmudgeonry that I’m going to engage in when I’m 60.) I spent much of my childhood not really listening to music at all, believe it or not, but as my tastes started to evolve, I mostly became interested in songs from my early years or from before my time entirely. This morning, a colleage sent me a link to an article on Slashdot about some comments made by former Google executive Stafford Masie, who believes that “traditional [web] search is dying” because users are becoming more inclined to ask their social networks for information instead of searching static web pages. I remember where I first learned how to play poker, and from whom. When I was a kid, my mom taught me the basics of the game so that we could play it to pass the time in the airport while waiting for a flight to a now long-forgotten destination. Lately I’ve been seeing a lot of proclamations that the personal computer as we know it is rapidly being replaced by smartphones and tablets, with today’s CNN Money article about the slow death of the PC being just the latest example. No, this post isn’t about a family of mentally unhealthy folks with the surname Parker. It’s about people parking. In lots. I recently decided to pony up the monthly fee to park my car in the covered deck next to our office building. [notice]Update: In case anyone tried to log in and respond to this post, there were some security issues with the blog that prevented this. Those issues have now been resolved. Sorry for the inconvenience. You can thank the &@%# comment spammers. [/notice] Although my rants used to be the cornerstone of this blog, I’ve largely let that kind of bloviating fall by the wayside in the past couple of years. As I went out for my after-lunch walk to the post office, the ABC Radio News update at the top of the hour informed me that Spirit Airlines, usually my airline of choice, was going to start charging a fee for carry-on bags.